Special emphasis is placed on facilitating postgraduate training of Higher Degree by Research (HDR) students in optical physics and photonics. As part of their project, successful applicants will be eligible for significant funds to support conference and/or field work travel costs, project needs, computers and other research expenses. For more information about funds click here. The MQ Photonics Research Centre is now seeking new postgraduate HDR (Higher Degree by Research) students who are interested in doing research with us. Why study photonic and optical sciences at Macquarie University? Why come undertake your higher degree focused in Photonics and Optics at Macquarie University? We have smart people, excellent infrastructure and facilities, research that is ranked well-above world standard and a supportive environment focused on building your skills for enquiry and innovation. Members of our academic staff are highly regarded nationally and internationally, and are frequently invited to present their research at international conferences. Notably some have been awarded ARC Research Fellowships (Future Fellows Profs Jim Rabeau, Rich Mildren and Helen Pask, DECRA Fellows Drs Wei Deng, Christian Schwab, Varun Sreenivasan, and Simon Gross). Profs Mick Withford and Ewa Goldys, and Emeritus Profs Brian Orr and Jim Piper are all Fellows of the Optical Society of America. Prof Deb Kane is chair of the IUPAP Commission on Laser Physics and Photonics. Researchers in Photonics and Optics are all members of one or more Research Centres. MQ Photonics Research Centre is a University Research Centre hosted in the Department, and with members from Engineering, Medicine, Chemistry and other areas. Photonics is a valuable tool and is widely used in a rich variety of related disciplines. The MQ BioFocus Research Centre, Centre in Quantum Science and Technology (QSCITECH) and the Centre for Astronomy, Astrophysics and Astrophotonics are University Research Centres that offer research in cross-disciplinary aspects of optics and photonics. There is scope to collaborate with researchers at other universities, through two nationally funded ARC Centres of Excellence which have nodes within the department: the ARC Centre for Ultra-high-bandwidth Devices for Optical Systems, CUDOS, and the ARC Centre for Nanoscale Biophotonics, CNBP. The Centre offers a highly nurturing and stimulating environment for early career researchers, with weekly MQ Photonics seminars, shared equipment facilities, and a strong culture of research collaboration between the groups. Students take part in our integrated Quark-to-Quasars professional skills development programme, in which targeted workshops are offered to all researchers in the department to develop specific skills or techniques including academic writing and communications, career development, intellectual property and commercialisation, ethics, and writing research proposals. Researchers also have access to outstanding facilities in OptoFab, a node of the Australian National Fabrication Facility situated in the new Hearing Hub building on campus. There are many opportunities for MQ Photonics/Optical Sciences PhD students to be involved in outreach and communication including the annual community-focused Macquarie Astronomy and Physics Open Night. The Macquarie University Student Chapter of the OSA provides a social, fun and constructive way to be actively engaged in promoting photonics. We offer Masters by Research degrees focusing on Photonics and Optical sciences related research topics through the Macquarie University MRes degree. This two year degree involves eight units of coursework training and then a full year research project. Students accepted to this degree receive an automatic scholarship which increments from Yr1 to Yr2. For more information on the MRes degree click here. More information about Higher Degree Research at Macquarie University can be found here. If you are interested in doing a PhD or Masters in Research within the MQ Photonics Research Centre, please apply by contacting the nominated supervisor or submit an Expression of Interest. In consultation with prospective supervisor, you will then apply for candidature. Information and instructions on how to submit an application can be found on the Higher Degree Research Office website. If you are seeking a scholarship, there are many opportunities available on a competitive basis. For scholarship information please see scholarships information at the bottom of this page. Our group has developed state of the art femtosecond laser-direct write facilities that enable the fabrication from simple waveguides to complex photonic structures inside actively doped transparent dielectrics. Based on our unique capabilities, we are seeking PhD students who will investigate different methods to realise novel integrated and modelocked waveguide lasers that operate in the mid-infrared wavelength region. Possible projects include the fabrication of depressed-cladding waveguide-lasers in fluoride-glasses and the integration of novel materials like nanosheet topological insulators as saturable absorbers and involve a mix of experimental and theoretical work. The mid-infrared region of the electromagnetic spectrum (2 - 20 µm) has attracted much scientific and technological interest due to the fact that virtually all molecules have their rotational-vibrational absorption lines in this particular wavelength range. For this reason, the mid-infrared is also referred to as the “molecular fingerprint” region. Owing to the high-impact applications that result from the strong molecule-photon interaction, research into mid-infrared lasers and photonics has become one of the hottest topics in modern optics research over the last few years. Applications range from environmental monitoring to trace molecular detection for airport security screening and non-invasive breath analysis where the presence of certain molecules in the human breath is used as an indicator of a specific disease. Our group at the MQ Photonics research centre is one of the world-leaders in the development of novel and advanced mid-infrared laser sources based on specialty optical fibres as well as ultrafast laser-inscribed photonic chips. We offer several PhD projects within our broader research program that all have a balance of theory and experimental work. Raman lasers use stimulated Raman scattering to convert light from one format to another. At Macquarie, we have a world-leading laser group that specialised in Raman lasers, from ultrafast to continuous-wave, from microwatts to gigawatts, and from the ultraviolet into the mid-IR. This project will apply Raman conversion to single-frequency lasers, in order to generate wavelengths for application such as control of atoms in quantum computers and atomic clocks. The project is a collaboration with UK company M Squared Lasers, and can be tailored to have a balance of theory and experimental work as desired. This research project is suited for a physics, engineer, or biomedical sciences student (or similar) with an interest in the area of ‘biophotonics’: the interaction of light with tissues for clinical applications. Patients that have a specific type of brain cancer undergo a new surgical technique called fluorescence-guided surgery, a technique in which brain glioma tumours are endowed with artificial fluorescence. In this project you will work towards developing a quantitative neurosurgical endoscope for more accurate surgical removal of tumours. Depending on your skills and interests, the project will involve optical engineering, optical imaging and microscopy, development of 3-dimensional tumour models, image processing and modelling, etc. This is a translational, multidisciplinary project at the interface between science and the clinic and you will develop experimental, theoretical and collaborative research skills. 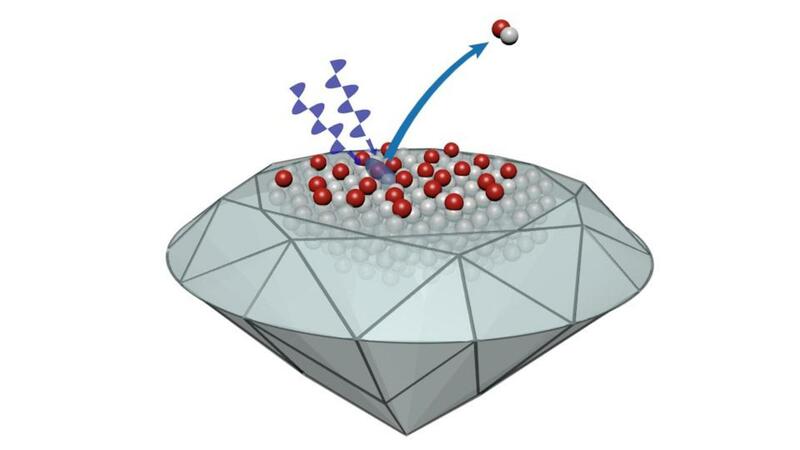 Diamonds have highly unusual and extreme properties that are ideal for creating a new class active laser components with potential applications ranging from biomedicine, defence and environmental sensing. The MQ Photonics Research Centre is seeking a PhD student to create and investigate waveguide diamond Raman lasers systems. The candidate will have the opportunity to fabricate novel waveguide structures in diamond and test their performance in laser configurations. You will join a large team of researchers aspiring to break new ground in diamond optics, micro-optical systems and nonlinear Raman interactions. Optical techniques for processing materials with a resolution less than the wavelength of light have advanced significantly in recent years. However, despite the highly selective nature of light-matter interactions, efforts to increase resolution towards the atomic scale are hampered by diffusion of the absorbed energy into the surrounding matrix. We have recently shown that diamond surfaces exhibit the remarkable capability to be patterned using ultraviolet lasers with ultra-precise depth and lateral resolution (Nature Commun. 2013). Furthermore, the detailed shape of structures depends sensitively on the polarization with respect to lattice bond directions. This PhD project is aimed to further understand the mechanism underpinning the atom removal process and to exploit the technique to demonstrate a range of novel diamond processing capabilities. These include fabrication of nano-scale optical elements, precision atomic-layer removal for surface electronics and complex 3D micro-structures made of diamond. It is aimed to develop techniques for solving current challenges in fabrication of diamond devices for future applications spanning a range of disciplines. The project will provide excellent experience in a broad range of scientific skills spanning optics, surface physics and nano-engineering. One of the key challenges in the observation of tiny biomolecules in cells is the intense autofluorescence background produced by cells and biological tissue. The only method capable to fully discriminate faint images of single molecule probes from these interfering signals is time-gated imaging, allowing short-lifetime background to decay before the afterglow emission from persistent nano-emitters is collected. This project addresses new-generation nanoparticles with persistence emission, termed nanophosphors, which will enable unprecedented quality imaging in cells and laboratory animals. The main application scopes include imaging and tracking single receptors in cells (see Figure below) to investigate the key cell functionalities, e.g. signalling and receptor fate. High-contrast imaging of small animals represents another research direction. Design, fabrication and application of new-generation tissue engineering constructs is one of the promising areas of the life sciences and our research leitmotif, where “smart scaffolds”, novel biocompatible, nanocomposite materials are at a focus. Scaffolds, originally intended for the regeneration of tissues and organs, are filled with new (nano)materials and become a platform for an interactive assessment of the implant state and controlled effect in the implantation field – taken together termed implantable biocontroller. 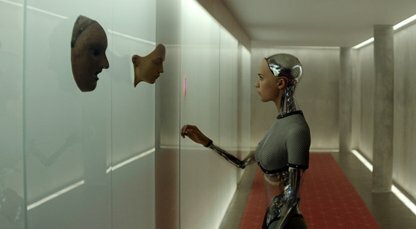 American inventor and futurist Ray Kurzweil, the author of many technological forecasts, one of which is the emergence of a mass market of gadget implants by 2025, asserts that " Eventually, all human beings (including those with transbiological 2.0 or 3.0 bodies) will migrate to this postbiological state ...". Implantable biocontrollers are a tangible stage on the way to the intangible and somewhat shocking future of Kurzweil. Fabricating controlled containers, allowing to release biologically active substances in the area of the regenerated tissue. Terahertz (THz) radiation has the potential to revolutionise the fields of security, medicine and numerous industries, through its application in imaging and spectroscopy. 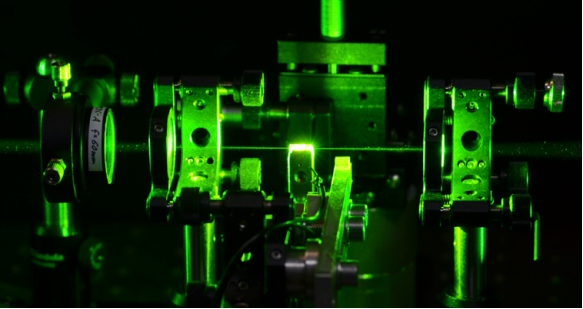 While the architecture of these lasers is relatively simple, sharing many similarities with the ubiquitous green laser pointer, the underlying physics behind their operation is quite complex. We are seeking to develop a numerical model for our lasers that can describe aspects of the laser performance, inform future design improvements, and evaluate the potential of various nonlinear SPS crystals.The project will involve the acquisition of spectral data for the nonlinear SPS crystals of interest, the development of a computational model for laser performance, and the validation of the model through comparison with experiment. Once validated, the model will be applied to predict the performance of lasers incorporating different SPS crystals and novel resonator designs. Terahertz (THz) radiation has the potential to revolutionise the fields of security, medicine and numerous industries, through its application in imaging and spectroscopy. While the applications potential for this technology are immense, there is a significant lack of cost-effective and compact THz radiation sources. At Macquarie University, we are developing frequency-tunable solid-state THz lasers based on stimulated polariton scattering. This project aims to develop new, compact, high-efficiency and frequency-tunable THz laser sources by making use of stimulated polariton scattering, a process which uses both second-order and third order non-linearities in bulk crystalline materials. This project will involve exploring (through computational modelling and physically constructing) new laser resonator designs which will increase overall THz output power, extraction efficiency and frequency tuning range. Here, the candidate will gain significant experience in the design, construction and characterisation of solid state laser systems; gaining experience in both fundamental laser physics and laser engineering. Engagement with industry partners and end-users of the technology will be a valuable feature of the project. Vortex beams are unusual in that they are optical beams which carry orbital angular momentum and are sometimes described as twisted light. Usually such beams or fibre modes have relatively low degree of vorticity (0<L<20). We have shown how to generate beams with extremely high orbital angular momentum (L>1,000) in multimode optical fibres. We have shown how these beams can be converted to produce an optical cyclone consisting of a rotating, twisted, spiral beam. In this exciting project we will explore these highly unusual optical fields, including their generation, propagation characterisation and manipulation. We will also explore their first applications which can range from materials processing, to manipulation of particles to communications systems. Random lasers are intriguing systems which combine gain from laser amplification and nonlinear optics, feedback from optical scattering and possibly effects due to light localisation. They have applications as non-directional sources of low-coherence, high-brightness light for low speckle imaging and optical coherence tomography. In this project we use random lasers to study the aggregation of metallic or dielectric scattering particles as sensitive probes of biomolecules in solution. We will understand the effect of the molecular concentration on the colloidal properties of nanoparticles, and model the laser behaviour as a collective response to the aggregation of the nanoparticles. Greater sensitivity of the laser behaviour is promoted by dimensional confinement in a waveguide. Random lasers are intriguing systems which combine gain from laser amplification and nonlinear optics, feedback from optical scattering and possibly effects due to light localisation. Since random lasers respond to collective properties of scattering particles in the gain medium, they can be used to probe phase transitions of nanoparticle scatterers in solution. We will model the random laser behaviour as a function of temperature, physical size, and other parameters, to understand the dynamics of the phase transition and compare with experimental time- and space-dependent measurements of this process. A range of project topics are available in the photonics and optics of certain spider silks and orb webs made of excellent optical quality materials, quantitative optical microscopy for characterising nano- and micro- objects, laser processing and modification of transparent materials, and laser processing solutions for several identified problems in Australian Indigenous and Pacific cultural heritage conservation and textile conservation. In all these projects the student will build broad experimental capability with sophisticated experimental techniques (eg. Optical surface profiling and related quantitative microscopy, sophisticated laser systems and processing techniques, light scattering studies) and develop theoretical understanding of the physics underpinning the project in order to perform thorough and high level analysis and interpretation of project data. All projects provide the opportunity for excellent students to demonstrate their capabilities to a very high benchmark. They will suit students looking for an opportunity to develop high level, multiple research capabilities. Research collaboration, mostly international is integrated into all projects. A range of project topics are available in experimental nonlinear laser dynamics and related theory and complexity analysis. Currently, the group is leading and contributing to international research collaborations, in addition to advancing our own experimental program. The latter is primarily focussed on the diverse dynamics of a range of nonlinear laser systems. The diversity within a single system and from different systems lend the systems to broad ranging applications in communications and imaging. Increasingly it is the analysis and understanding of the complexity of the systems that is transferable to other areas of science such as climate change, physiology and finance. The projects will develop experimental, theoretical and collaborative research skills. Macquarie University offers postgraduate scholarships for suitably qualified students. The scholarships are available to both Australian and overseas students and provide tuition fees and living expenses. Once you have selected a project, your prospective supervisor will help you find and apply for a scholarship. Find a general list of scholarships on the Higher Degree Research Office website. Science Student Services can provide with assistance on the scholarship or admission procedures.